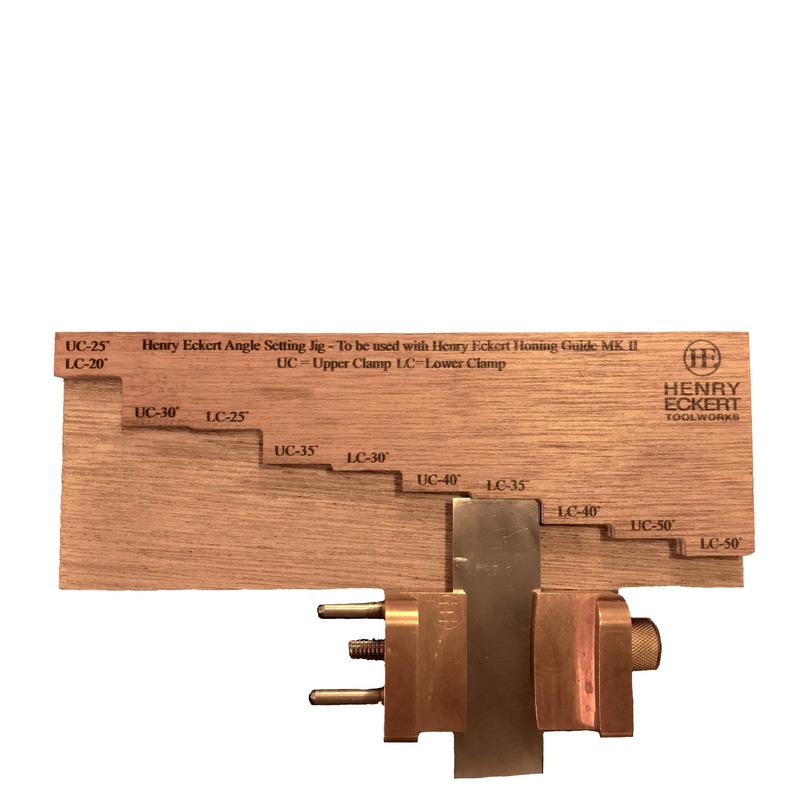 The Henry Eckert angle Setting Jig is made by CNC router from 18mm marine grade ply. 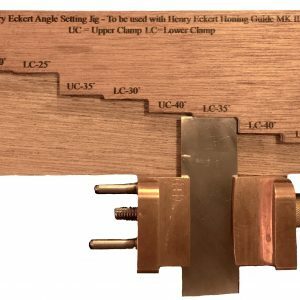 It is designed to exclusively partner the Henry Eckert Honing Guide Mk II. 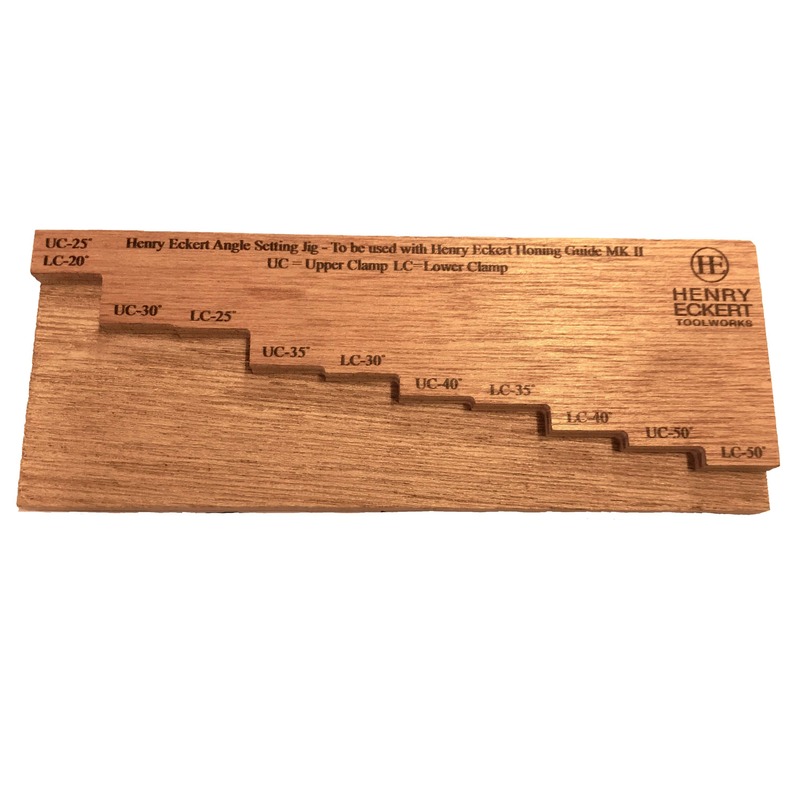 There are 11 setting angles from 20° to 50° for both plane blades and chisels. 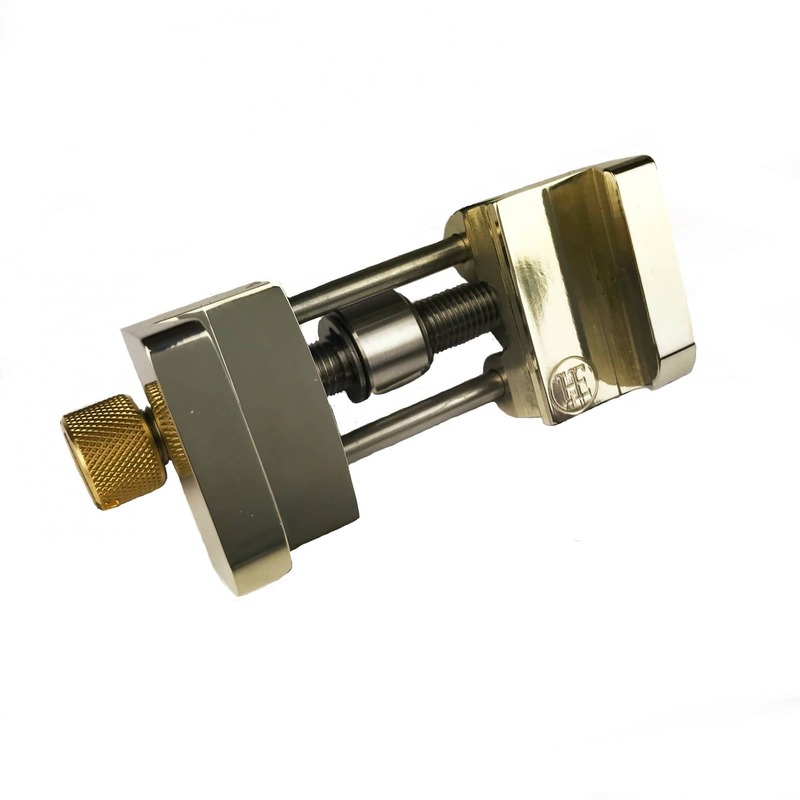 It can be used flat on the bench, in one hand or set to the edge of your bench with 2 dowels on the underside. 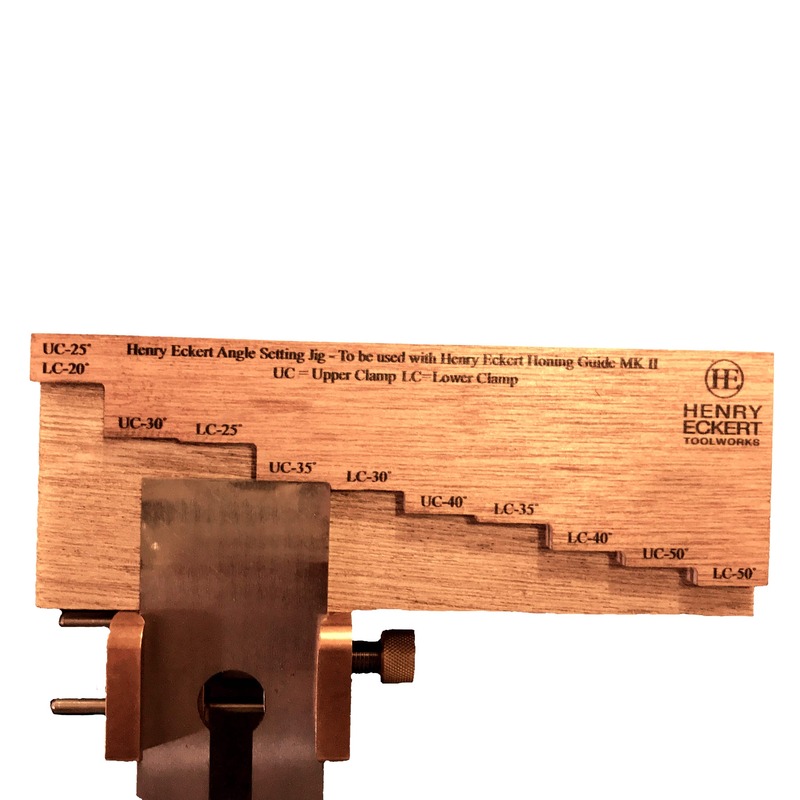 Click here for HET Sharpening Instructions.